Precision Cut Lawn Care, Inc. Comment: I'm looking for a lawn service, not to cut my grass. Comment: Large fenced backyard with oak trees, a lot of leaves,maybe 4 years of accumulating. Need to remove these. This is a rental house. Comment: Lawn and landscaping need raking and clean out. Also garden pond cleaning. Comment: New build home. Grading being done in the spring and no lawn in place yet. Sandy terrain. Comment: Spring yard clean up, pet waste removal, leaf pick up in yard and landscaping ... leaf blowing - possible power washing of house if service does both. Comment: I just purchased a home and the previous owner did not remove the leaves. I need the leaves removed. Zimmerman Lawn Care Services are rated 4.72 out of 5 based on 1,742 reviews of 15 pros. 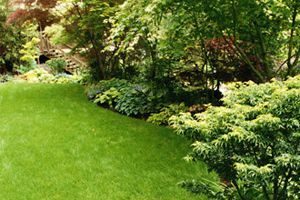 Not Looking for Lawn & Garden Care Contractors in Zimmerman, MN?